The fight to SAVE public forests like YELLOWWOOD is not over. 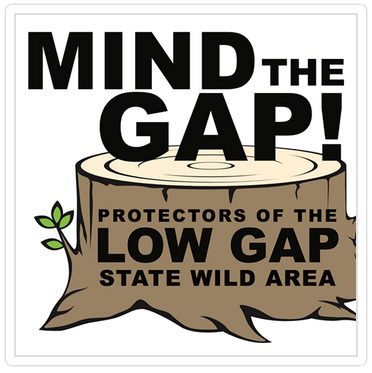 While the plundering of the Yellowwood backcountry is happening as we speak, there is still plenty of state forestland, even in Yellowwood BCA, left to protect! Our next action is getting Senate Bill 275 passed in the Indiana General Assembly. This bill would set 30% of our state forests aside from logging to develop into old growth forests. Because contrary to what the Indiana Department of Natural Resources claims, not every acre of our public forests needs to be treated like a timber farm. Learn how you can help advance SB 275 in the next month or less. Why is it crucial that we stop this logging? THE ONLY PLACES LEFT: State forests are the only public places where Hoosiers are allowed to enjoy “wilderness recreation” such as long-distance hiking, backpacking, primitive camping, orienteering, hunting and foraging in wild nature. These activities are not permitted in state parks, nature preserves, or fish and wildlife areas. QUALITY OF LIFE: The Yellowwood/Morgan-Monroe State Forest Back Country is a beautiful and needed break for people of all walks of life to get away from modern hustle and bustle. Plus, it’s a great place to get exercise and fresh air. GOOD FOR BUSINESS: Multiple studies have shown that having public forests available for wilderness recreation makes locations more attractive to businesses and workers looking to relocate. IT’S OUR FOREST! : It belongs to each and every Hoosier – not the government to sell and destroy for money. MANY MORE LONG-TERM BENEFITS: The long-term benefits of preserving large tracts of mature forests far surpass the one-time, short-term gain of a timber sale. IT’S A SAFE HAVEN: Over the past 4 years, it has been found that 21 endangered species live in this forest – including the Indiana bat, timber rattlesnake, smoky shrew, and worm-eating warbler. AND PROTECTION FROM MORE LOGGING: Older forests are a refuge for plants and animals affected by logging. And older growth forests support rare biological diversity. Logging this public land is completely UNNECESSARY. 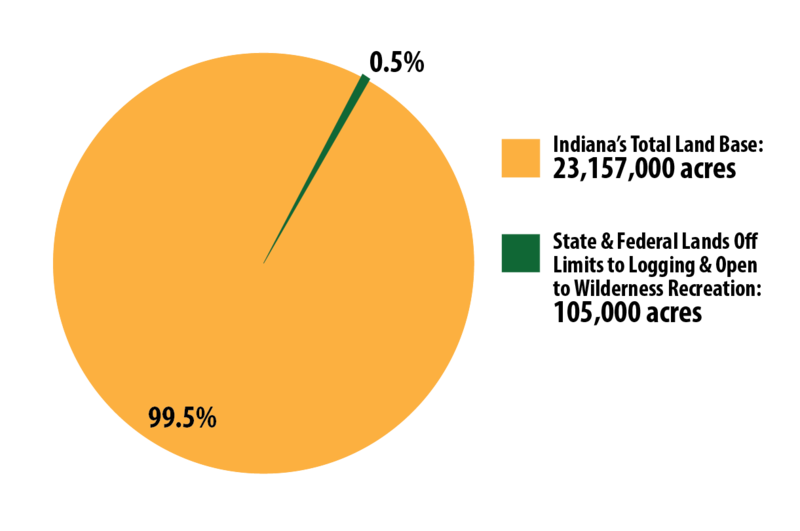 IT’S A FRACTION OF A FRACTION: Indiana’s entire state forest system comprises just 3.2% of the state’s 4,900,000 total forested acres. And the Yellowwood/Morgan-Monroe State Forest Back Country is approximately 2,700 acres – which equates to only 1.7% of the state forests’ acreage. Which means it would be the perfect place NOT to log! THIS FOREST IS ALREADY VERY HEALTHY: It has young and old trees, large fallen trees and standing dead trees: these make perfect habitats for lots of wildlife, naturally! WHY DESTROY PUBLIC LAND? 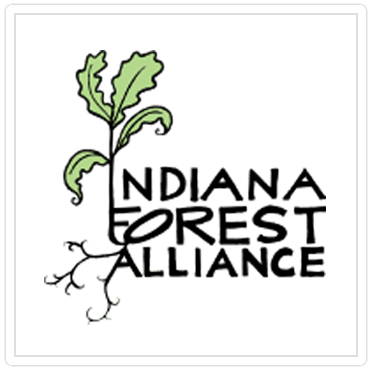 : There is already plenty of logging happening on private Indiana land. Why does the government need to compete with private industry for timber? As forests go, this one is SPECTACULAR! IT’S OLD AND BOLD! : It’s the largest tract of mature, closed canopy hardwood forest left in our state forests – where you can walk among towering trees ranging from 80 to 238 years old! IT’S REALLY WILD! : A wildlife survey counted 4,000 species of fish, birds, mammals, fungi, moss, insects, spiders and more. THE ESTIMATES ARE LOW: They claim they will be taking only a few select trees per acre. But you can walk the forest now and already see that they have marked many more trees than that for harvesting. 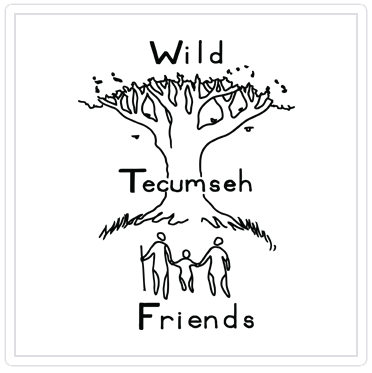 TRAILS CLOSED: They plan to close two popular hiking trails, the Tecumseh Trail and Possum Trot Trail, and the primary eastern entry point for at least six months. TREES OBLITERATED: They want to take ALMOST ONE-FOURTH OF THE STANDING TREE VOLUME from more than half the acres in the area. COLLATERAL DESTRUCTION: They fully admit that they will also be damaging many remaining trees, tearing up the ground on steep slopes, and leaving stumps, gravel roads and many other very visible impacts for many years. LONG-TERM DAMAGE: It will take many generations to see these majestic forests again. Our children and grandchildren need this rich natural heritage. Something’s not right about this. WHO’S RUNNING OUR STATE? When told by a state representative about the large number of citizens voicing concern over this, the Governor claimed it was out of his hands. So who’s running this state: the Governor, or the Division of Forestry? Please take four minutes to let Governor Holcomb know this is unacceptable. Contact the Governor’s Office Today! Contact Governor Holcomb immediately. Tell him that we want a portion of our state forests set aside from logging. Write/Email your state rep and senator to ask that they support Senate Bill 275. Contact the State Rep and Senator who represent this area. Ask your friends and neighbors to speak up. Post a link to this page to social media – Facebook, Twitter, etc. on Governor Holcomb and the rest of the Indiana state government. And that pressure starts with you! 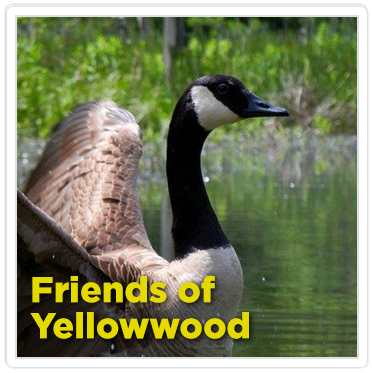 HELP US SAVE YELLOWWOOD TODAY!